This fall, the McConnell Foundation, La Caisse d’économie Solidaire, Chagnon Foundation and Saputo Foundation introduced a brand new financial tool designed to help Quebec’s social economic and organizations working for the betterment of their communities. The new initiative, Garantie Solidaire, injects $15 million into the community sector through a loan guarantee program that is open to Quebec-based community organizations, social enterprises, co-ops and non-profits. If the model proves successful — already three projects have received support — Garantie Solidaire could be replicated in other provinces. “Our aim was to address the challenges faced by organizations who often can’t receive through banks the capital they need to finance their development,” explains Erica Barbosa-Vargas, Director of Solutions Finance for McConnell. Traditionally, organizations from outside the corporate and private sector have struggled to procure loans from banks because of the perceived risks involved. The business models of organizations in the social sector can be very different from those of profitable companies — the sources of revenue are very different and often less predictable. Nevertheless, many of these entities are robust and sustainable over the long term, and to achieve their social or environmental missions at greater scale, they require capital investments for things like property ownership, purchasing of major equipment, hiring personnel, and so on. Buffet Accès Emploi, a catering service that offers work and training to marginalized people. To gain access to the Garantie solidaire, organizations have to demonstrate the economic viability of their project, and their ability to repay the loan. 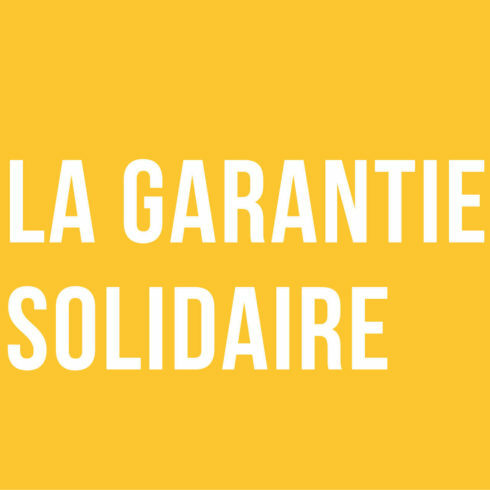 The organizations that take advantage of the Garantie solidaire must pay their endorser a guarantee fee equal to 1% per year of the amount initially guaranteed, based on the length of the guarantee. This fee is in addition to the credit fees related to the loan, which are paid to the Caisse d’économie solidaire. Interested organizations must submit their application to the Caisse d’économie solidaire.